Welcome back to The Digit-al Dozen Does Continents! 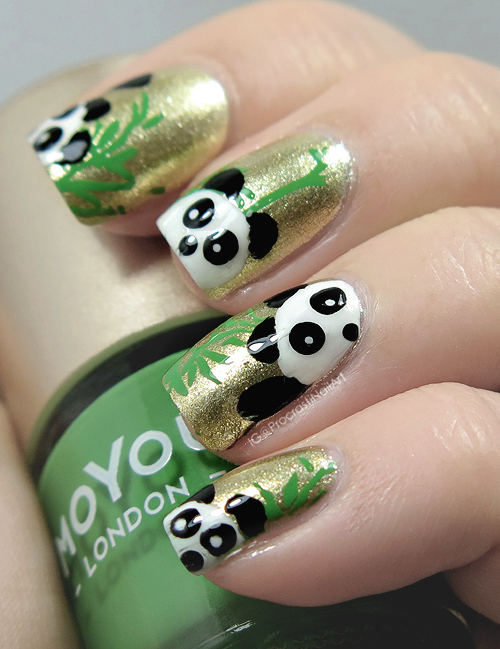 Today I'm doing my fill for Asia/Eurasia - pandas! Rather than just doing a uniform look across my nails I decided to mix up the positions, and look! Some of them are waving at you! So cute! 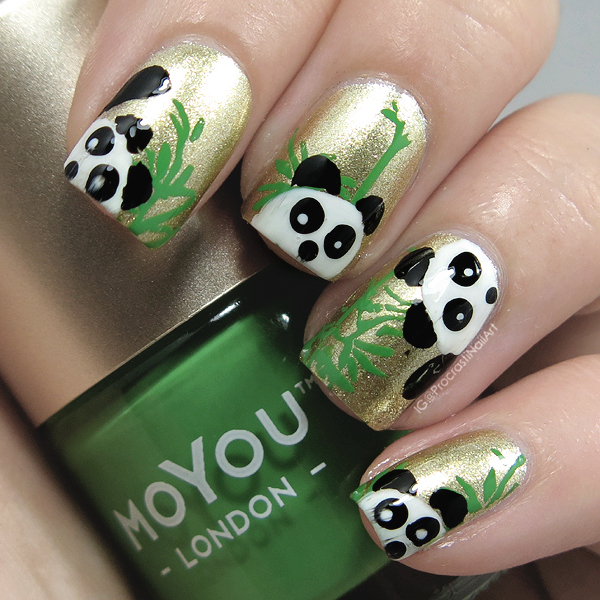 When I started this look I knew I wanted my pandas to be fun but a little bit elegant, so I decided to do a solid gold background with Salon Perfect Gold Leaf and then stamped on some bamboo for my pandas with m66 Plate from Born Pretty Store and MoYou London Fresh Basil. 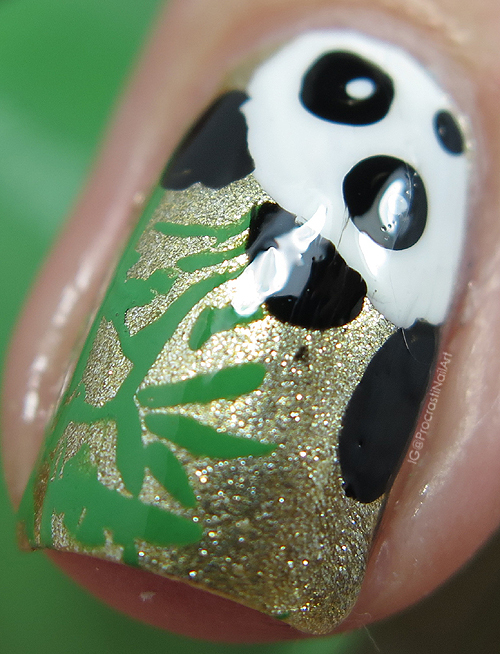 My little panda friends were all freehanded with two polishes: Ceramic Glaze Little Black Dress and Ceramic Glaze Pure. Cutie patooteys! Hello little panda friends! I hope you like hanging out on my nail for the 24 hours I get to wear you before I have to do tomorrow's look! Haha. Super cute pandas peeking out like this. 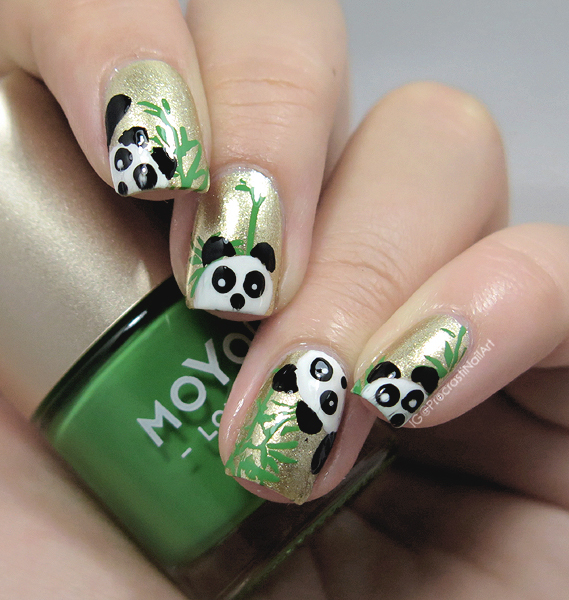 This one is the cutest panda mani I have ever seen. I wanna recreate this mani, if you don't mind ! Absolutely! :) Maybe we could do a mani swap! Awww, they are the cutest! These little pandas are totally playing peek a boo! <3 Love this! These are adorable. I love the little guy peeking in from the top!